In a post-apocalyptic world, many of the items that we interact with every day will become useless relics of the past. From lipstick to cell phones, our interactions with countless commonplace items will transform or cease. 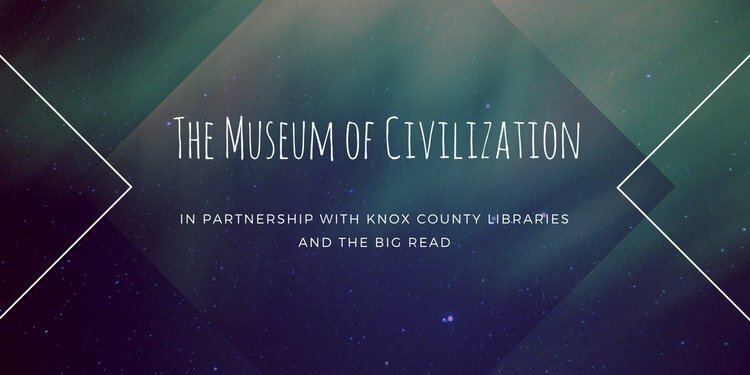 In partnership with Knox County Library’s Big Read initiative, which is designed to revitalize the role of literature in American culture and to encourage citizens to read for pleasure and enlightenment, The Central Collective will host “The Museum of Civilization” group show for its November 2017 First Friday reception. Inspired by the fictional airport museum in Station Eleven, this show will be comprised of artistic renderings or replications of physical items that the artists believe deserve a place in a museum memorializing modern society, either for their usefulness or hindrance. Major outbreaks aren't fun, but why not make the most of it – as long as we’re talking about fiction. Hone your survival strategies with the board game Pandemic. Bring some pals to play with or come meet new friends. We'll be joined by our pals Jubilee Games and Coffee, who will help explain the game and facilitate play.